Living the EnerQi Connection Press Release : This press release was written several months before the books release and sent out to a media distribution list for advanced notice. Included in the release is a summary of the book and a brief interview of the author. Email Campaign : This was written before Sunrise, Sunset: 52 Weeks of Gratitude and Awe by Kim Weiss was released. The goal was to get the contributor’s of the book to participate in promoting the book as it came out through specific actions. Social Media Campaign : This was written along the same lines as the email campaign but was sent out to a wider audience as the launch of Weiss’s book approached. Our goal was to get others to help promote the book on social media with specific posts that we had created. 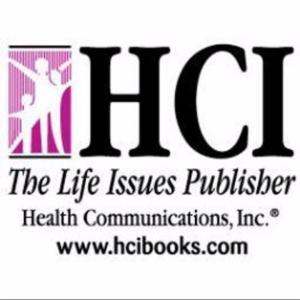 HCI Books has been established since 1977 as a self-help publishing house. They began by publishing pamphlets and magazines within the addiction and recovery field. Not long after that they began publishing writer’s such as John Bradshaw, whose book became a New York Times Bestseller. HCI’s owner Peter Vesgo met two motivational speakers, Jack Canfield and Mark Victor Hansen, with a manuscript that had been turned down many times. However he saw its potential. Their collection of stories quickly became “Chicken Soup for the Soul”. HCI’s mission is to publish people not books. Since then they have grown into major publishing house, publishing books such as “The Chicken Soup for the Soul” series and “A Child Called It”. series.